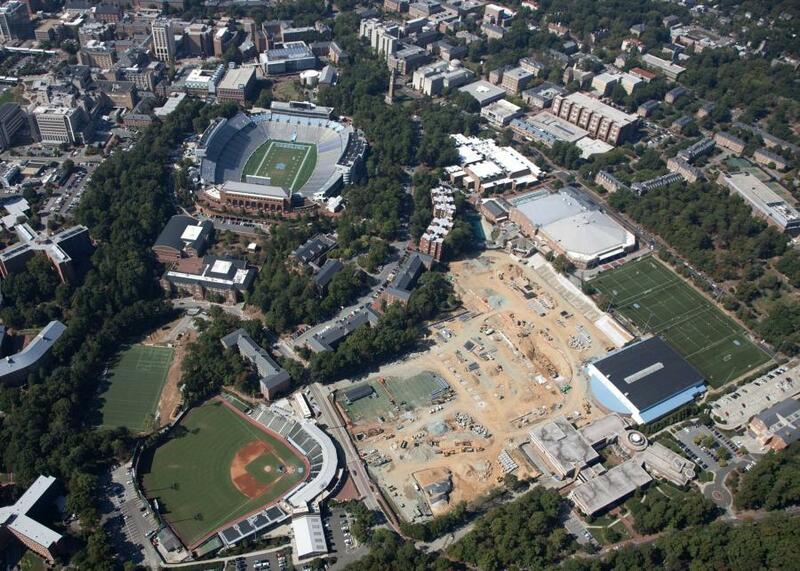 An aerial view of UNC's athletics construction project. Construction has been underway since spring of 2017 at the University of North Carolina's latest sports facilities. The project includes the new Fetzer Field Stadium for the school's soccer and lacrosse teams, as well as a new indoor practice area for football and two outdoor practice fields, Inside Carolina reported. Construction should be complete by the 2018 football season, Inside Carolina reported.